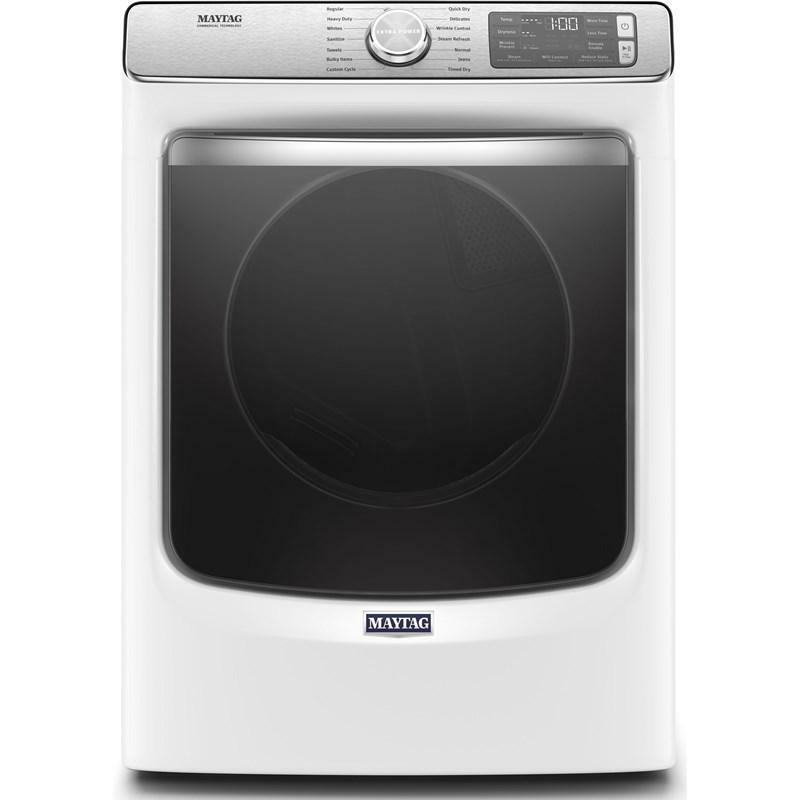 Maytag® 7.3 cu. 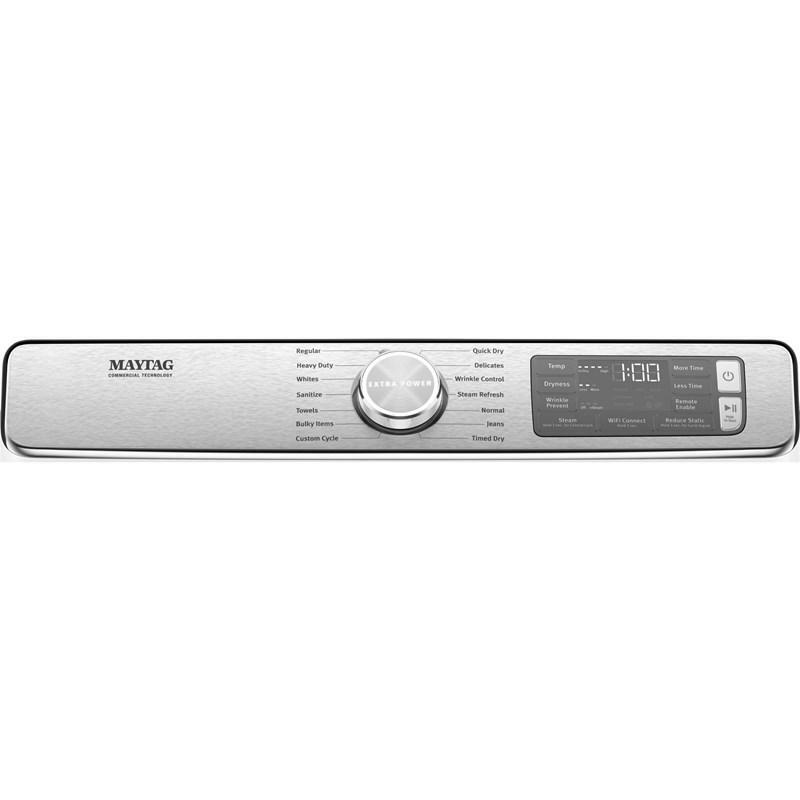 ft. front load electric dryer features extra power and advanced moisture sensing with an extra moisture sensor. The extra power button boosts drying power on any cycle by extending time, heat and tumbling. One push helps prevent underdrying by getting thick fabrics, pockets and seams drier the first time. Capacity 7.3 cu. ft. / 0.21 cu. m.